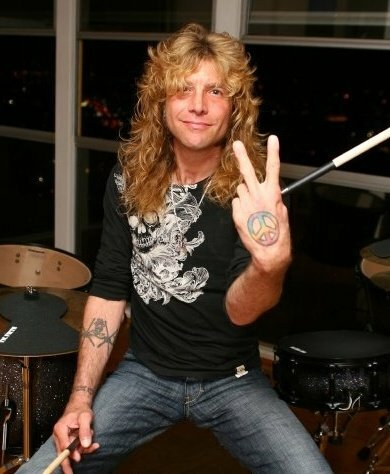 Former Guns N’ Roses drummer Steven Adler is back in rehab. His band, Adler, has announced the postponement of its summer tour due to Steven checking into an undisclosed rehabilitation center to continue working on his sobriety. "We are truly sorry to all of the fans and promoters who were looking forward to seeing us on the road, but right now Steven's health is the most important thing," says Adler frontman Jacob Bunton. "We hope to make it up to everyone when Steven recovers." U.S. dates are currently being rescheduled to early fall. Adler has had challenges with sobriety for many years; he was dismissed from GNR in 1990 over his heroin addiction. He appeared on the second and fifth seasons of the reality TV show Celebrity Rehab with Dr. Drew, as well as on the first season of its spin-off Sober House.